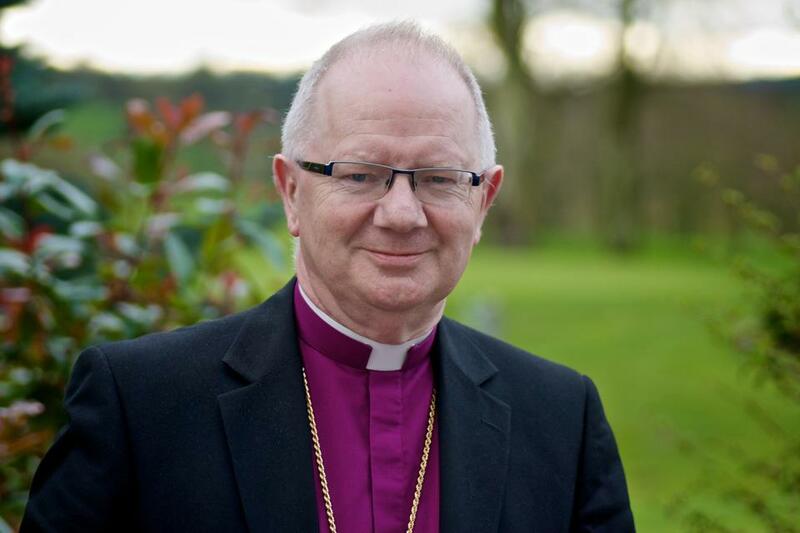 It has been announced today (3rd October 2012) that the House of Bishops of the Church of Ireland has elected the Most Reverend Dr Richard Clarke as the new Archbishop of Armagh and Primate of All Ireland. Archbishop Clarke served as Dean of Saint Fin Barre’s Cathedral in Cork from 1993 until 1996. Prior to that he was Rector of Bandon, Co. Cork (1984 to 1993). The Bishop of Meath and Kildare, the Most Reverend Richard Clarke, whose election as Archbishop of Armagh was announced on Wednesday, 3rd October, 2012. I would like first to express my sincere gratitude for the huge trust that my fellow-bishops have placed in me by appointing me to the Archbishopric of Armagh. I truly feel neither worthy of the heritage into which I am to enter nor adequate for the tasks that lie ahead. The God of Christian belief is, however, a God of grace rather than a god who looks for human self-sufficiency. All I can pledge is that I will give this task the very best of which I am capable, and the prayer of all of us must be that God in his grace will enable some good to come from this. I look forward to fresh challenges and joys, along with new friendships and discoveries, in the phase of ministry in the Gospel that now lies ahead, both in the Diocese of Armagh and within the wider fellowship of the Church of Ireland and beyond. Please pray for the Church of Ireland and for me in these weeks ahead as I prepare to take up this new responsibility. Dr Clarke is 63 years old; his wife, Linda, died in 2009. He has two adult children and one grandson. Upon taking up his responsibilities as Archbishop of Armagh, he will be the 105th in the succession of abbots, bishops and archbishops of Armagh since St Patrick. The new Archbishop of Armagh (front row 4th from left), the Most Rev. Dr Richard Clarke, surrounded by his fellow bishops on Wednesday 3rd October, the day of the announcement of his election. 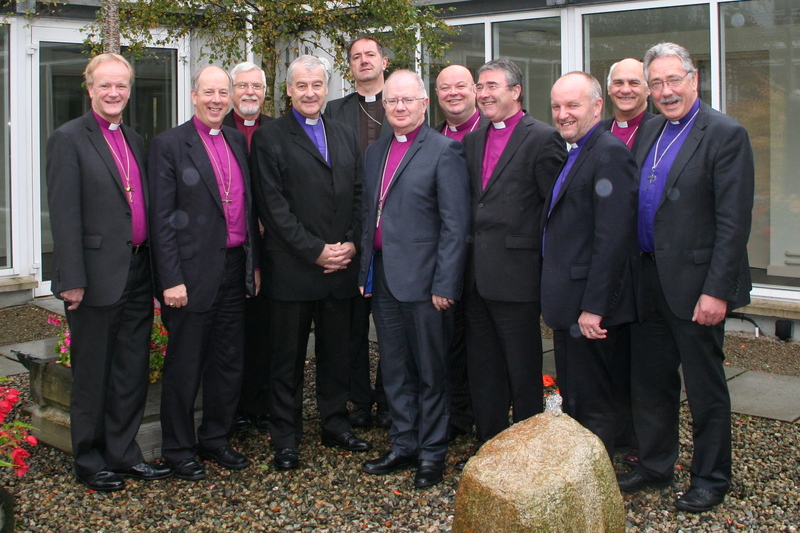 L-R the Right Reverend Patrick Rooke (Tuam, Killala and Achonry), the Right Reverend Ken Good (Derry and Raphoe); the Right Reverend Harold Miller (Down and Dromore); the Most Reverend Michael Jackson (Dublin and Glendalough); the Right Reverend Michael Burrows (Cashel and Ossory); the Most Reverend Dr Richard Clarke; the Right Reverend Paul Colton (Cork, Cloyne and Ross); the Right Reverend John McDowell (Clogher); the Right Reverend Alan Abernethy (Connor); the Right Reverend Ken Clarke (Kilmore, Elphin and Ardagh); the Right Reverend Trevor Williams (Limerick and Killaloe). This entry was posted in Appointments, Church of Ireland, Cork, News Release. Bookmark the permalink.